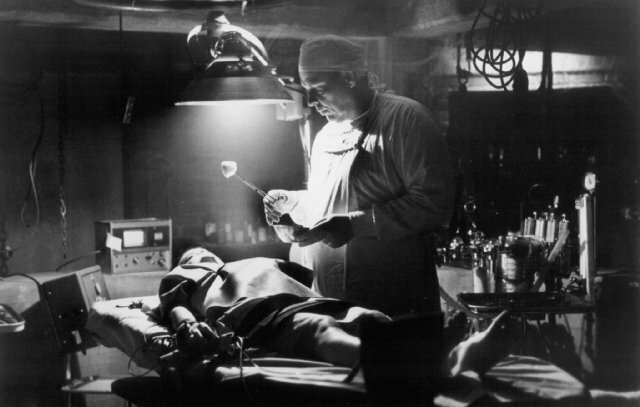 When people ask me what the first horror movie I saw was... DR. GIGGLES always pops to mind. I don't know if it was truly the very first, but it was definitely in the first few and most memorable. CANDYMAN is an extremely close second. I was born in North Kansas City, Missouri in 1984 and in 1993 my family moved to Leawood, Kansas (South KC). Which is less than an hour drive, but to a 9 year old it was life-altering. I was going to have to go to a new school and leave all my friends behind. It was like moving to a foreign country. I kept in close touch with my best friend Courtney. I would stay the weekend with her frequently. This is where I was introduced to horror films. Her parents did not pay close attention to what we rented from the video store. We gravitated toward the coolest cover art with fun titles like DR. GIGGLES, THE LEPRECHAUN, CANDYMAN, etc. Now, I wouldn't call CANDYMAN a silly film but the title is misleading (it's a favorite of mine to this day). We took advantage of her parents lack of attention. It was such a fun time of my life that I'll never forget. I have to be honest and say I have not seen DR. GIGGLES since that first time. But I am on a hunt today to find it so that I can watch again. I saw in the news last night that we lost Larry Drake and wanted to share my connection to his work. My deepest condolences to his family, friends and fans.